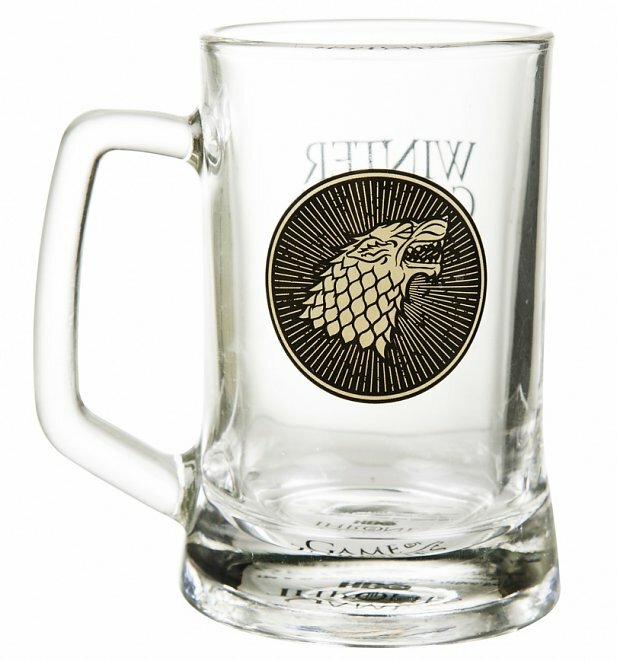 Sip on your drink of choice in this super-cool House of Stark stein whilst plotting your next battle plan! 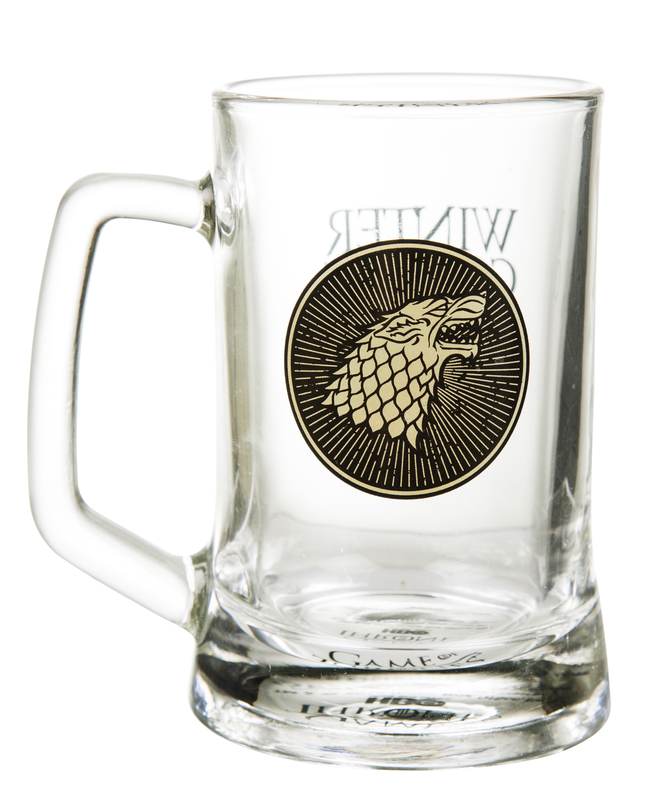 Featuring the instantly recognisable Direwolf logo on one side and 'Winter is Coming' text on the other, it's a brilliant tribute to the ultra-addictive Games of Thrones series. - Measures 13cm height and 7.5cm across approx. Review: This was purchased as a gift. It is absolutely loved! It is a absolutely fabulous idea and it doesn't fall short of the mark. 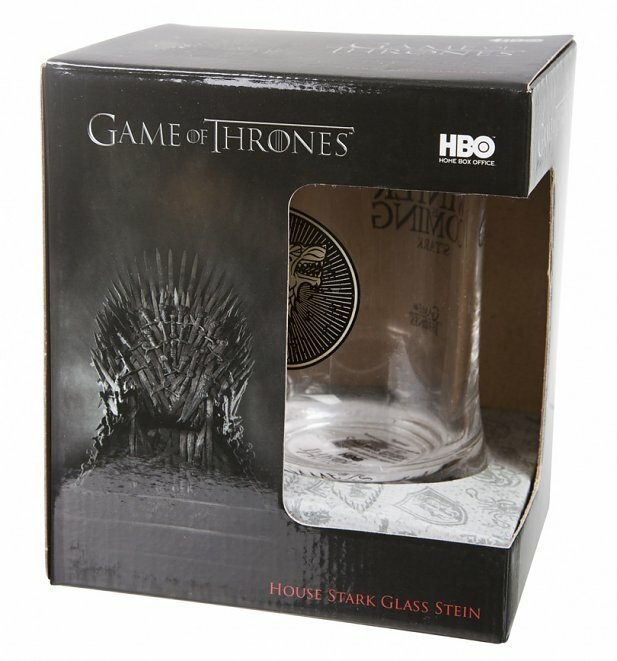 Its a good solid drinking stein and with the awesomeness of Game of thrones added. Review: Awesome! 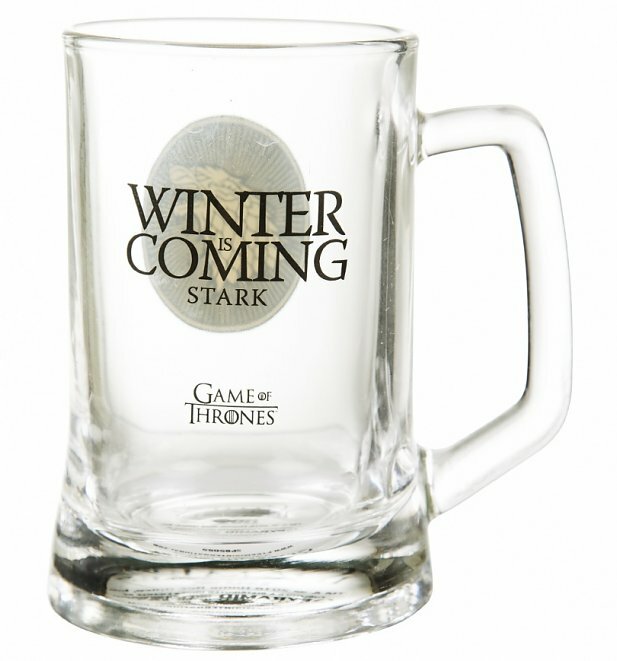 Sturdy and Stark-y! A great gift for my friend! Review: Perfect gift. Can't wait to give it! Just what I was looking for.